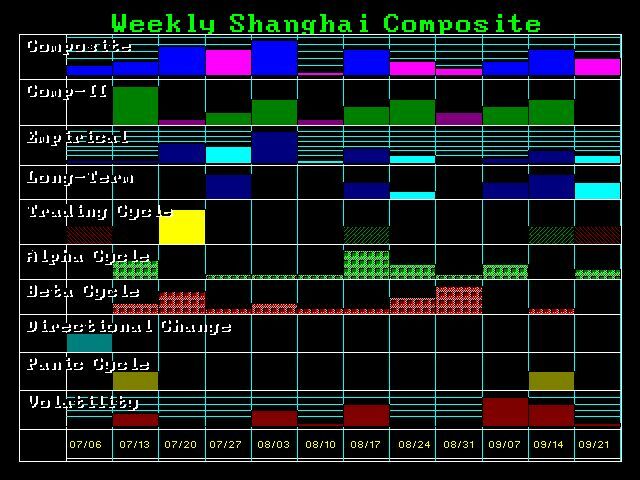 The first window of opportunity for the temp low in the Shanghai will be tomorrow, the July 9. We have target support at 3615000 and key support at the Weekly Bearish Reversal at 3195880 followed by the Monthly Bearish at 3049110. 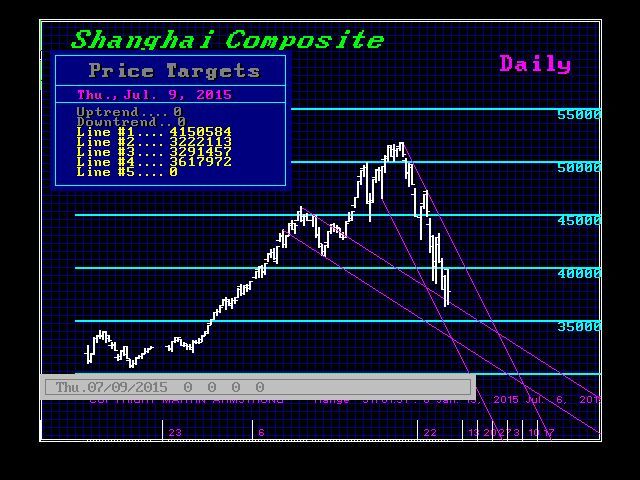 The week of July 6 was also a target in Shanghai. Therefore, we have a shot at a temporary low this week with a reaction back to the upside. Keep in mind that this overall trend has been only a 23-month reaction from the June 2013 low that came on target, producing the highest monthly closing for our May 2015 target. June was an outside reversal to the downside, producing the intraday high, but this penetrated the May low and closed lower. This was the signal that a decline was in motion. So now we just see a knee-jerk reaction to the upside, but this will be followed by new lows.